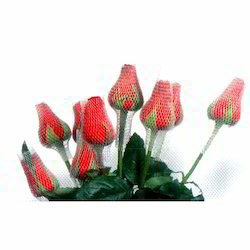 High quality, low cost rose cap is available in a number of meshes and thicknesses. Sourced from reputed manufacturers, our rose cap gives true Value-for-Money. Our rose cap is UV-treated to withstand the blistering sunrays, and to give your delicate and valuable flowers the protection they need. Being a well-distinguished company in the market, we are into offering Bud Cap Net. Specification : Width : 10, 15 mm Length : 100 Mtr I hank form or pre cut size available against bulk volume. Colour : Natural, Pink or customized. We are among st the most reputed names in the industry, offering Bud Cap. 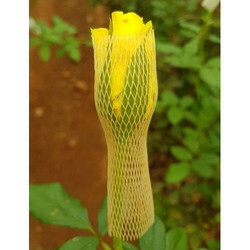 In order to meet excellent quality standards, we are supplying Rose Bud Caps. It is stomachic , carminative, stimulant, antispasmodic . promotes digestion of fatty and crude foods, promotes nutrition and relieves gastric and intestinal pain and spasms, stimulates the salivary glands, kidney, liver and bronchial mucous membranes.